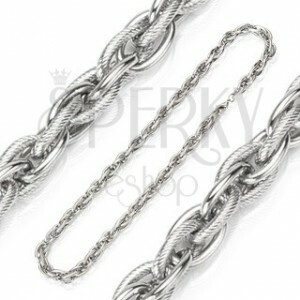 Steel chain in silver colour with intertwined smooth and patterned links in silver colour. By buying this product you can collect up to 28 points as a voucher of $7.56. Your reward points. 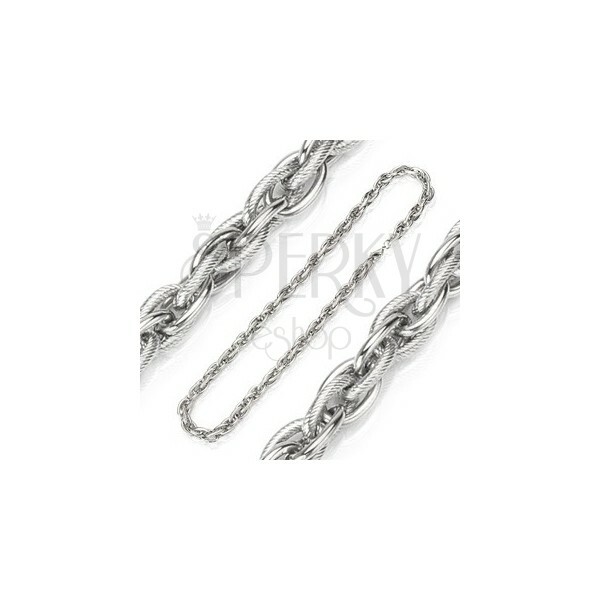 A surgical steel chain in silver colour is composed of dual oval links. The pattern of the chain is composed of links with shiny and smooth surface alternating with links that resemble twisted rope. The chain has lobster closure.